Yes! I’m so over the moon today. 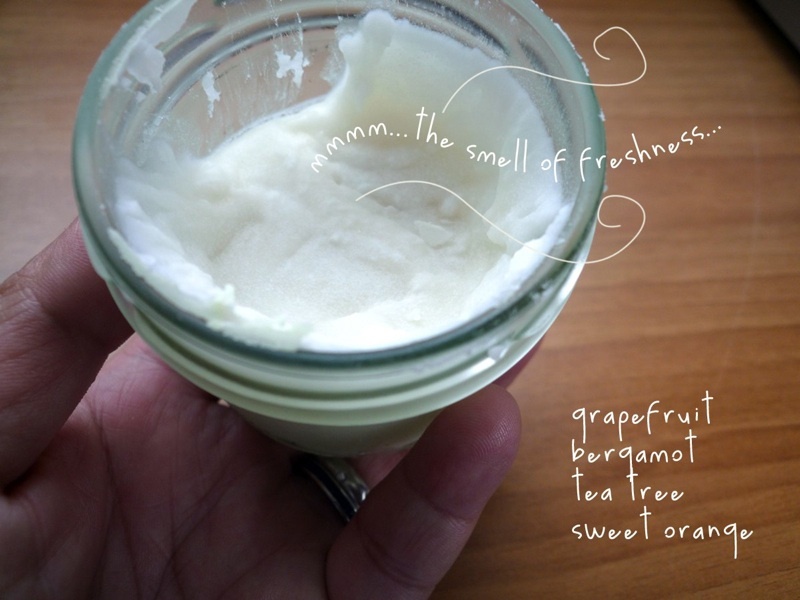 Thank you to Grandma G, I made my own homemade deodorant, something I would never have thought I’d end up making one day. I tried it out today wearing sleeveless top. And so far, no smell at all, which is something that has never happened with store-bought ones I’ve tried before. solves problem of trying to find a deodorant in Shanghai… cannot find any solid stick on any of the shelves of supermarket or groceries here (at least last time I checked). Okay, this may sound gross but I had a ‘personal sniffer’ today. My husband has been checking if I smelled or not! I’ve been talking about this deodorant for weeks ever since I read this post. So maybe he will make the switch, too. So I’m feeling confident that with the heat coming on… I know I won’t be worried with all the sweating. This is simply amazing!